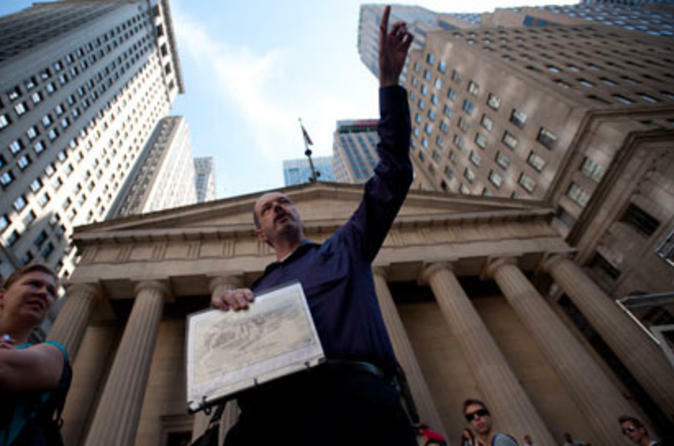 You will meander through the narrow, winding streets of Lower Manhattan led by Wall Street experts, who will tell you exclusive stories from inside the trenches that will inform and shock you! Learn how some traders made billion dollar profits while banks collapsed, and find out more about the volatile culture and lifestyle of the Wall Street Trader. Explore the fascinating, historical district of Wall Street that it is a living, breathing body that still affects the world today. You will discover rich history and visit famous financial landmarks, such as the New York Stock Exchange, Federal Reserve, and Charging Bull. Even born and bred New Yorkers will gain valuable insight through storytelling and personal interaction with former Wall Street professionals. If you have an interest in finance, current affairs or want to learn more about the worst financial crisis since the Great Depression, this New York City tour is for you!